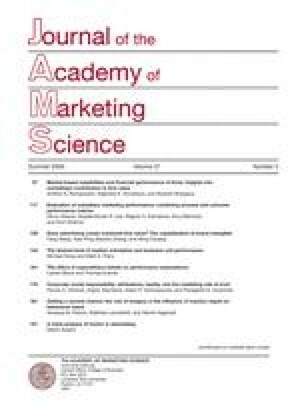 This meta-analysis combines 369 correlations on the effects of humor in advertising and thus quantifies, updates, and expands previous literature reviews on the effects of humor in advertising. In line with previous reviews, the meta-analytic correlations demonstrate that humor in advertising significantly enhances AAD, attention, and positive affect. Contrary to the assumptions of previous reviews, there is no evidence that humor impacts positive or negative cognitions, and liking of the advertiser. The meta-analytic findings clarify some ambiguous prior conclusions: humor significantly reduces source credibility, enhances positive affect, ABR and purchase intention. The decline from lower order to higher order communication effects is particularly strong, with the effect size of the impact of humor on AAD being twice as large as the effect size for ABR. This impact of humor in advertising has been rather stable over the past decades. A moderator analysis reveals, however, that the findings of academic humor research are somewhat biased. As for the underlying theory, the positive and linear relationship between the funniness of the ad and brand attitudes supports an affective mechanism underlying the impact of humor in advertising. The author would like to thank Alexandra Langer and Torsten Richter for their excellent and committed coding work as well as the editor and the four anonymous JAMS reviewers for their constructive and helpful comments. The work was supported by the German Research Foundation (Deutsche Forschungsgemeinschaft). Asterisks denote manuscripts that were used for the meta-analysis.